But there’s a lot of data out there—data volumes are rising and new information sources appear every day—and it can be nearly impossible to find the truth buried in it. And when it comes to legal challenges like litigation or corporate compliance, the truth can be life-changing. It’s the difference between millions of dollars, the right or wrong verdict, or justice taking years instead of months. That's why we built Relativity. By bringing all of this data together in a single solution that leverages advanced technology like machine learning and visualizations, we help thousands of organizations around the globe understand their data and tell their story. Our customers can customize the software and access it however they need—in the cloud, on-premises, or both—to meet any unique challenge. 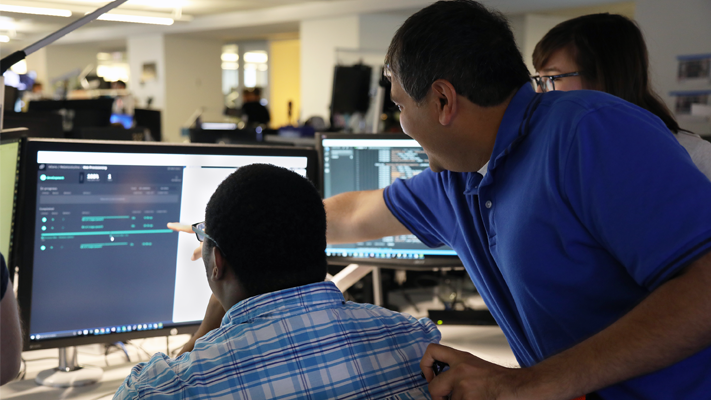 The work’s not easy, and the challenges are always growing, but we’re an agile, passionate group focused on solving a big problem with great technology—making the truth that much more attainable. We’re a community of passionate, life-long learners tackling challenging problems. We care about each other and about our community. We live our core values and we love to collaborate. We want to work with the best and brightest (a sense of humor or great baking skills don’t hurt either). Nothing about working here is easy, but that’s what makes it fun. Big data. Security. Machine learning. It all comes together in Relativity, and we work hard to get it right. We refuse to be stagnant. That means constant learning, from our customers and our teammates, and continuous growth. See a new opportunity? We’ll help you go for it.